We now have further evidence that James Cameron's long-delayed Avatar 2 and its sequels are finally happening. Shooting is expected to start later this year. And the casting process is well under way in order to keep things on schedule. 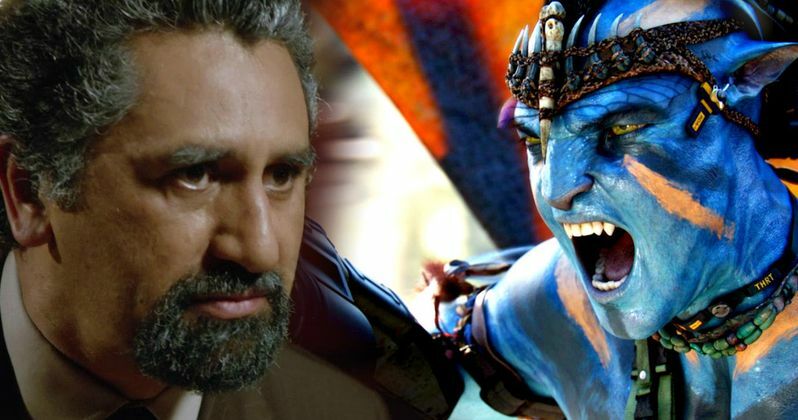 Fear the Walking Dead star Cliff Curtis has joined the cast for all four Avatar sequels in a new lead role. The news comes courtesy of Deadline, who report that Cliff Curtis is playing a new character named Tonowari, the leader of the Metkayina, a reef clan from Pandora. James Cameron has been saying for years that a lot of Avatar 2, and presumably the other sequels, will be taking place underwater. With this new casting, it looks like that will indeed be the case. As far as Cliff Curtis goes, if you don't know him from Fear the Walking Dead, he also starred in the Oscar-winning drama The Piano, as well as Training Day and Once Were Warriors. He also starred in Live Free or Die Hard, in addition to the much-maligned The Last Airbender, but it would be hard to hold that against him. For not being a big, household name, he most certainly has the experience in blockbuster movies. Though, this will almost certainly give his career a pretty big boost, since the first Avatar remains the highest-grossing movie of all time and he will be in all four sequels. Even if the sequels are a fraction of the success that the original was, they will still be monster blockbusters, since the first Avatar grossed $2.78 billion worldwide. James Cameron still hasn't revealed any noteworthy plot details for Avatar 2 and the other sequels, but the reason for the huge delay, according to the director, is because when he started writing he realized that the story needed to be told in four movies. So it took him quite some time to get all of the scripts written and to get everything prepared. He has also been working on some more technological leaps forward in order to bring his vision for the Avatar sequels to life, including some complicated underwater filming techniques, as well as the possibility of "glasses-free" 3D before the final Avatar movie hits theaters. In addition to the newly cast Cliff Curtis, Avatar 2 will bring back Sigourney Weaver, Stephen Lang, Sam Worthington and Zoe Saldana. James Cameron will be directing all four Avatar sequels. Fox recently set some new release dates for the Avatar sequels, with Avatar 2 set for release on December 18, 2020. Avatar 3 will then follow on December 17, 2021, with Avatar 4 not set to arrive until three years later on December 20, 2024, and, finally, Avatar 5 on December 19 2025.